Man misses the Ethiopian Airlines flight that crashed after taking off from Addis Ababa. Anotins Mavropoulos saw his fellow passengers board the plane. The man posted on Facebook explaining his fate. 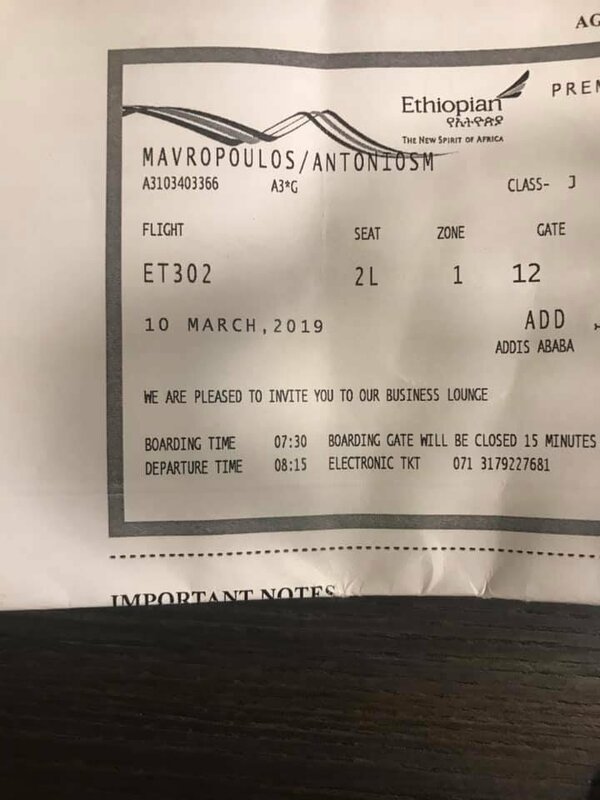 The post is called ‘My Lucky Day’ where Anotins Mavropoulos shared an image of what appears to be his boarding pass. He arrived at the gate late for boarding on Sunday morning. He said, ‘When I arrived, boarding was closed and I watched the last passengers in (the) tunnel go in. I screamed to put me in but they didn't allow it’. The plane crashed six minutes after taking off, killing all 157 people on board.